With one week to go to the concerts in Dublin I can hardly contain my excitement. I’ll never forget the precious memories from last year and especially when Leonard put the roses I gave him on the stage for the entire final concert. One year later and that act of kindness still brings tears to me eyes. I also get emotional thinking of all the amazing concerts I’ve attended since then. I’ve said it before and I’ll say it again, I am forever grateful to be on this planet at the same time as Leonard Cohen. These will be my last concerts of this tour which I am trying not to dwell on thinking about that too much as I remind myself that we all believed that the Las Vegas concerts in 2010 would be the last time we’d see Leonard in concert. We don’t know what the future holds and what will be will be. I will treasure these concerts though with every fibre of my being and will hopefully get some photos to share with you all next week. I will of course be writing a review, as always. 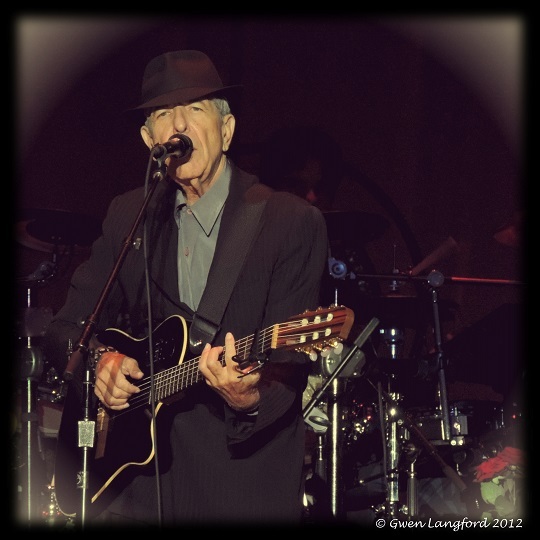 This entry was posted in Dublin 2013, Leonard Cohen, Photos and tagged Dublin 2013, Leonard Cohen, Roses.